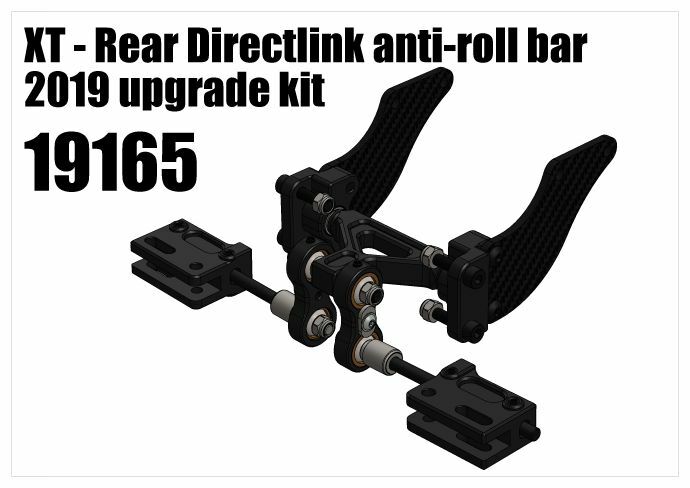 XT - Rear Directlink anti-roll bar 2019 upgrade kit - "Your Large-Scale Superstore"
The new innovative Directlink anti-roll bar system increase the grip and stability of the car. 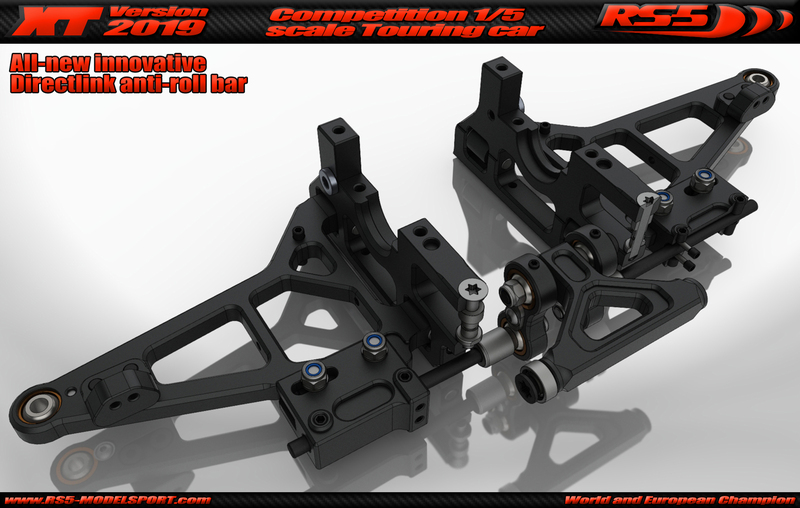 The anti-roll bars now conected also to the chassis, and not only to eachother like by the ball style anti roll bar. When the centrifugal force try to roll the chassis, the anti-roll bar hold against it. Because the anti-roll bar is connected to the chassis, it transfer more pressure to the outer wheels, so the pressure between ground and tyres become bigger, and the grip of the car inreases. This changes the caracteristics of the car drasticly, it becomes more responsive, quicker on direction changes and more stable in general.